Share on Twitter & Facebook! Win the special barrel signed by Phil Taylor! Announcement of the winners of the Phil Taylor model dart set! Thank you for joining “Let’s Make Friends” campaign! 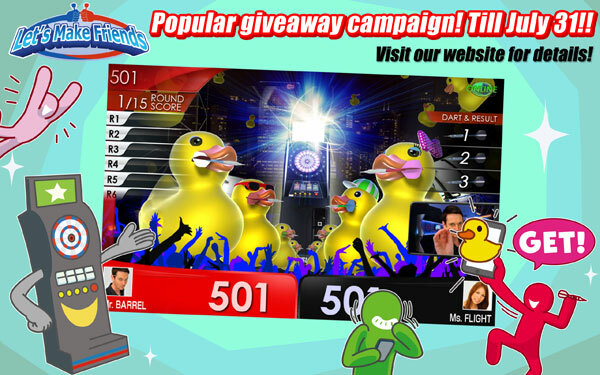 【Only 1 week left!】How many darts friends have you made? Only in this campaign! Rare THEME with new BULL sound can be yours! 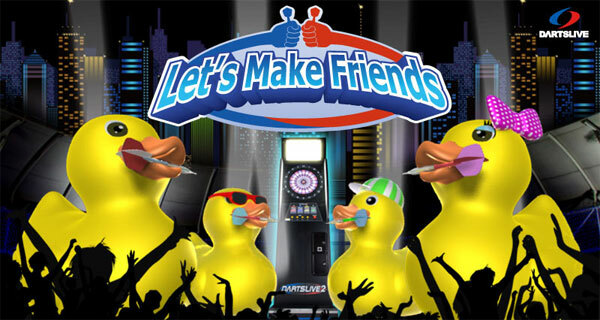 【Globally popular!】Join “Let’s Make Friends” campaign now! Get very rare PREMIUM THEME with a new BULL sound! 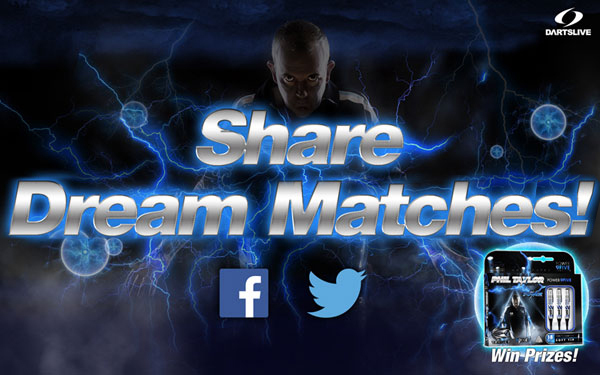 Play MATCH together and get more darts buddies♪ Let’s Make Friends campaign!